Andre Weathers started his football career in Flint, MI playing for Flint Central High School. As a defensive back, running back and wide receiver for the Indians he helped lead them to an undefeated season and a Saginaw Valley Championship in 1993. In 1993 Weathers had 41 tackles, 5 interceptions, 879 rushing yards, and 396 receiving yards. That same season he was named to the All-State team and played in the state’s all-star football game. Andre was also honored by the Detroit Free Press as a scholar athlete and was an All-American scholar. Weathers continued his academic and athletic career at the University of Michigan where he was an All-Big Ten player as a defensive back. Weathers had a total of 84 tackles and 5 interceptions for the Wolverines, his biggest moment came in the 1997 rivalry game against Ohio State. Weathers’ 43-yard interception return gave Michigan a 20-0 lead in the third quarter of a 20-14 victory against their hated rival. Andre’s play as a defensive back helped him earn All-Big Ten honors in 1997 and 1998 and helped Michigan become Big Ten championships in those same seasons. In 1997 he helped the Michigan Wolverines football team win a National Championship, their first since 1948. Weathers had a key sack in the Rose Bowl game against Washington State on the team’s way to a Rose Bowl championship and a national title. Andre Weathers graduated from the University of Michigan and entered the NFL Draft where he was drafted in the 6th round by the New York Giants. 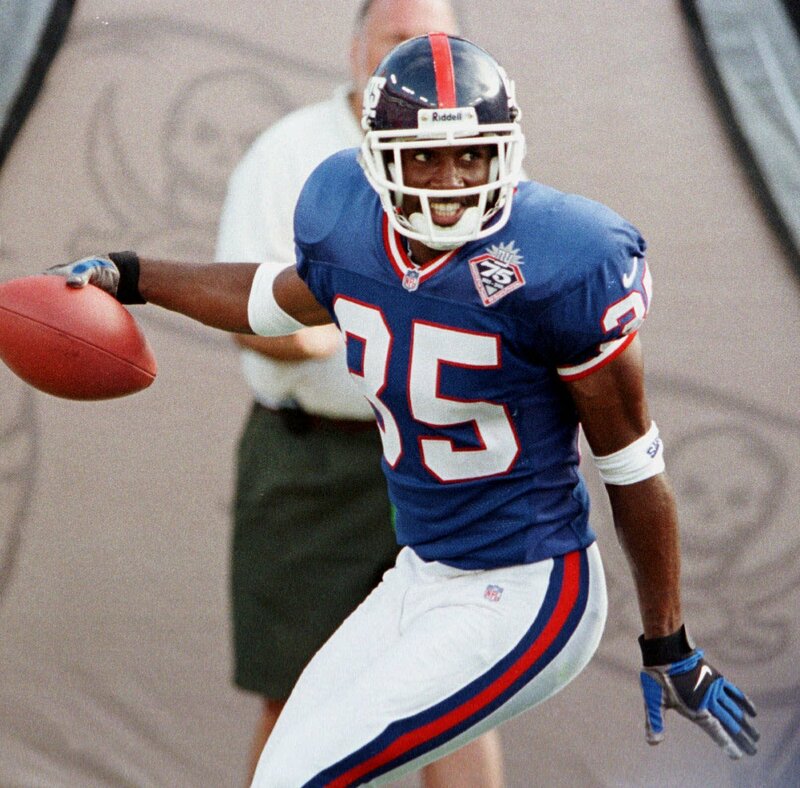 In Andre’s first game with the Giants he returned an interception for the game winning touchdown in a victory over Tampa Bay. Weathers was a member of the New York Giants team that represented the NFC in Super Bowl XXXV. After retiring from the NFL due to injury Andre Weathers returned to the Flint area to become a football coach. Andre has coached at Flint Central, Flint Northern, Flint Northwestern and Bentley. In 2018 Weathers was named the head coach of Flint High School’s football team. Andre Weathers you are the true definition of being “Flint Strong”! You have made Flint proud. Welcome to the Greater Flint African American Sports Hall of Fame!